In this post of Homeo Expert, we shall discuss the best Homeopathic Medicine for Influenza or Homeopathic remedies for Influenza. Influenza is a viral infection which attacks the respiratory system of a person it includes your lungs, nose and throat. At times, it can be resolved automatically but sometimes it can become deadly dangerous. This flu travels in the air and when it transfers from the infected person to others when the infected person coughs, sneezes or talks. In addition, you can also get these germs from objects including computer keyboard and telephone and it will be transferred to your nose, eyes and mouth. Influenza is also contagious and the viruses are constantly changing. Who are at risk of developing flu or influenza? Homeopathic medicines have the ability to control as well as abort the attack of viruses in the beginning. Homeopathic remedies can control the viral infections easily and they boost our immune system to fight these viral infections. I have been treating influenza patients successfully within 5 days using homeopathic medicines. In addition, viruses can auto mutate or have the ability to change their structures but homeopathic medicine for influenza has the ability to control them. It is due to the fact that homeopathic remedies do not have side-effects and made of natural substances. Influenzinum is the best homeopathic medicine for influenza and it is also helpful in the flu season to prevent the onset of the problem. It is the first homeopathic medicine that comes to mind after the quick onset of symptoms. Additionally, it is also the helpful homeopathic treatment for Flu or influenza if the symptoms occur in chilled or cold weather. If this homeopathic remedy for influenza is used in time, it stops the attack. It is a useful remedy for flu when it occurs with body aches and the patient feels that his bones are broken. The symptoms of the medicine become worse at night. Gelsemium is one of the best homeopathic medicines for influenza with headache. The patient of this medicine feels great weakness and heaviness in the body and eyelids. Additionally, it is also beneficial medicine for those medicines who feel fatigue after suffering from flu or influenza. 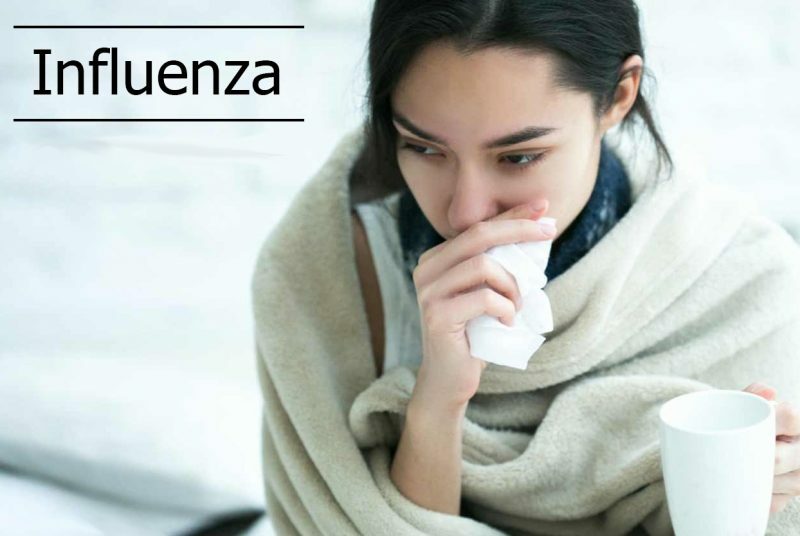 There are some other homeopathic remedies for influenza are also available including Rhus Tox, Hepar Sulph, Bryonia Alba, Antimonium Tart and Nux Vomica.